As a Canadian, I’ve had many opportunities to visit the gorgeous Spanish colonial architecture and splendid white-sand beaches that make up Cuba. I’ve also watched cigars being hand-rolled and strolled along vintage car filled streets. Cuba is a Caribbean gem where you can step back to a simpler time where locals move at a difference pace. 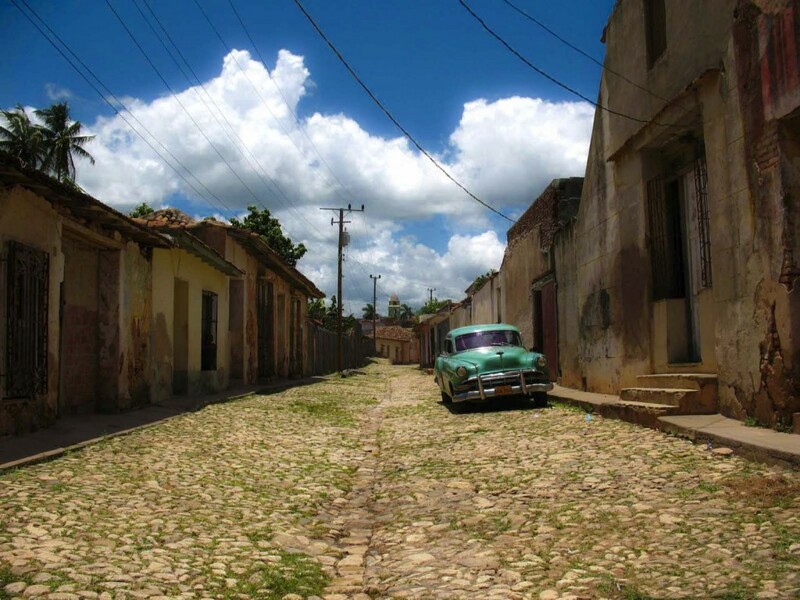 There is no rush in Cuba. Varadero Beaches – The glistening white sands, cool tropical breezes, and tranquil Atlantic waters provide the perfect backdrop for a broad range of resorts. For those looking for adventure, Varadero is well equipped to handle almost any water sport you can imagine from scuba diving to sailing. Pay close attention to the beach flags in Varadero because the winds and tides can be fierce. Old Havana – This area has the most colonial buildings and is the most visited area for tourists who visit Havana but it’s also its most beautiful spot. Even tough you will be asked to buy things from locals, you can feel safe in Old Havana. Alejandro Robaina Tobacco Plantation – This is the only real opportunity in Cuba to tour a working tobacco plantation. While most plantations produce tobacco for one or more of the state-owned cigar brands, such as Cohiba, Monte Cristo and so on, this is the only one to farm the crop exclusively for its own brand. The Hershey Train – The Hershey line was built in 1917 by the chocolate company to transport workers. Now anyone can jump aboard for a fascinating insight into the country. Play baseball with Local Kids in Guardalavaca – Bring a baseball bat and a ball with you when you visit the Holguín Province of Cuba. Local children can usually be found playing baseball in the fields or open areas. You don’t need to speak Spanish to get out there and enjoy the game with them. As a tourist, I was always welcome. Money Matters – Cuba has two units of currency: the Cuban peso (CUP) and the Cuban convertible peso (CUC). While Cuban salaries are paid in CUP, the vast majority of foreign visitors use CUC, divided into centavos and, like the Cuban peso, completely worthless and unobtainable outside of Cuba. The Canadian dollar is also accepted in most tourist destinations in Cuba. Passport and Visa – A passport valid for two months after departure from Cuba is required by all nationals. Nationals of the USA are subject to the Cuban assets control regulations enforced by the Office of Foreign Assets Control.